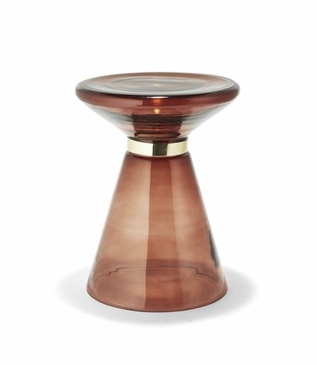 Midcentury-inspired meets multi-purpose. 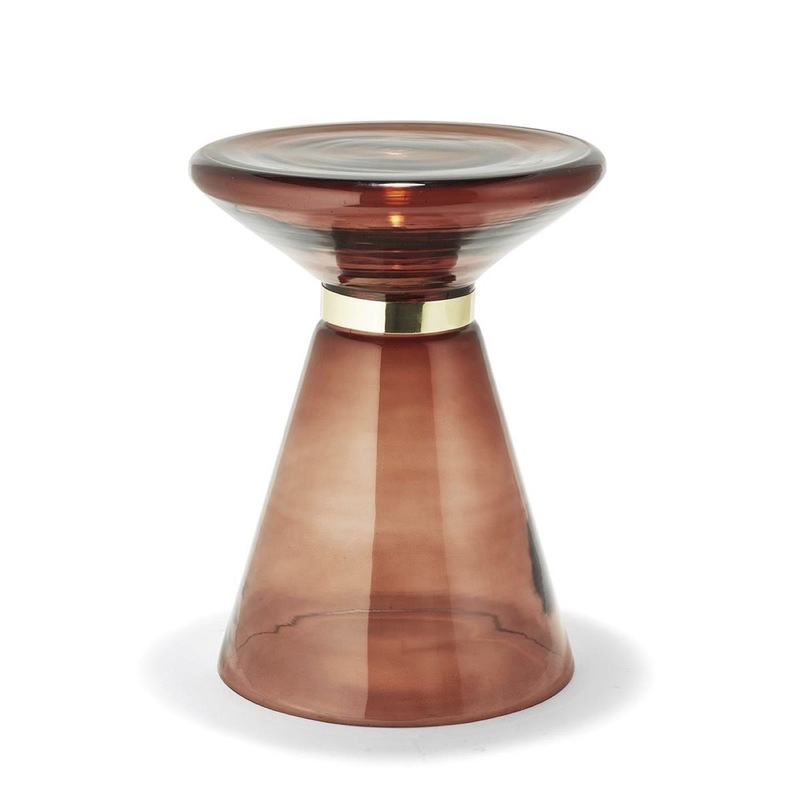 Crafted in smoky brown tones of handblown glass, this handsome round stool features a metal collar in a brass finish. Due to the nature of handcrafted of this product, minor imperfections and color variations should be expected and considered part of its inherent character and charm. Size: H: 17" • Dia: 14"